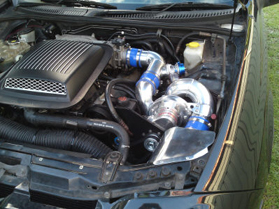 The Raptor ProStreet system for AU V8 - simply miles ahead in bang for your buck. Easy to fit with up to 400kw potential, it makes sense to Raptor Supercharge your AU Falcon V8 if you are wanting more power. You would like to make a 12 sec pass, owners of this kit already have. 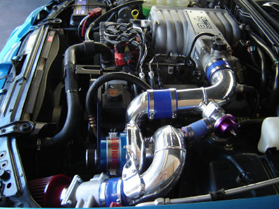 We recommend water/methanol injection to be used with the system to maximise power/tuning. Suitable for Stroked HIGH compression engines to 347ci. Excellence in low cost 5.0 Supercharging.